This acclaimed series that inspired a hit London Weekend Television sitcom is “a long, gentle breeze of humour” (James Herriot). Based on the author’s real-life experiences after completing seminary and later adapted into a beloved British sitcom, these five novels are a humorous and sweet-natured look at Catholicism in the 1950s. 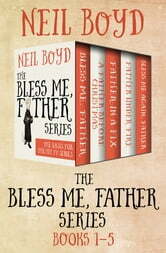 Readers of all creeds will enjoy Father Neil’s adventures at St. Jude’s parish, a corner of London with a raucous congregation full of Irish immigrants. 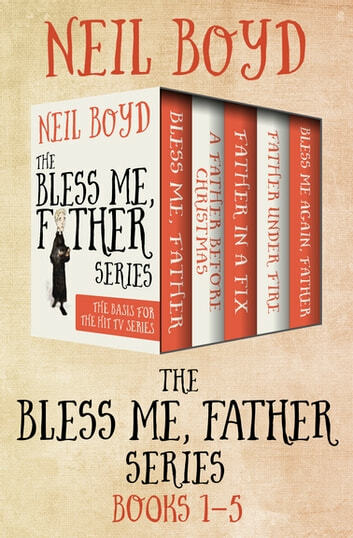 Bless Me, Father: Young Neil Boyd has just finished divinity school. A newly ordained priest, his first post is at St. Jude’s parish where he meets the cantankerous, scheming, and brilliant Father Duddleswell and Mrs. Pring, the sharp-tongued housekeeper. Father Duddleswell is willing to do anything to make sure the Lord’s will be done, from placing a bet to obstructing an interdenominational love affair. A Father Before Christmas: The holiday season is among the most hectic times at St. Jude’s, and this year is no exception for Father Neil. As always, he has his hands full with Father Duddleswell, who has decided to invite all the other sects of Christianity to celebrate Christmas with them. The plan quickly unravels when two religious leaders from another denomination try to convert Father Neil and a clock goes missing—as does the church collection. Father in a Fix: After six months at St. Jude’s, Father Neil makes a New Year’s resolution to wise up. With the crazy collection of characters at his parish, this will be no easy feat, especially when Father Duddleswell is named the prime suspect in the killing of a gambling parishioner’s smelly pig and a generous attempt to give the suspected butcher a day off goes zanily haywire. Bless Me Again, Father: After finishing his first year at St. Jude’s, Father Neil finally feels as if he has his feet firmly planted on the ground. But the parish is still full of surprises, and the clergy are confronted with all manner of crisis. First, there is the dilemma of Dr. Daley, whose drinking is causing his health to deteriorate but who worries that sobriety will ruin his personality. Then, much to Father Duddleswell’s chagrin, a new donkey overruns the church, followed by a fresh litter of kittens. Father Under Fire: As St. Jude’s adds another member to its clergy—Father Abe, an octogenarian with an agenda of his own—the church staff finds themselves embroiled in a rivalry among undertakers, a visit during Holy Week from the bishop with the longest rosary on record, a harebrained scheme to promote holy water as a fertility enhancer, and a night spent under a pool table during a pilgrimage. I love this author. His characters sound real, you can picture and their interactions with one another. Having been a fan of the television series, this series rang very true. It's a gentle read, both touching and a reminder of another time. Father D relationship with Father Neil is similar to a father and son relationship with it’s ups and down. I laughed out loud at how Father D justified kind and love over rules and regulations.